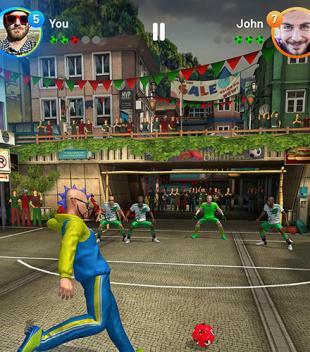 Cristiano Ronaldo: Football rivals - play football in the city streets and on huge stadiums. Perform accurate and strong kicks at gates and score goals. 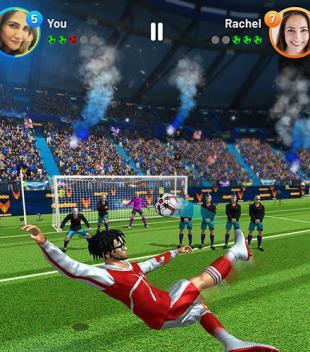 Become a famous football player in this exciting Android game. 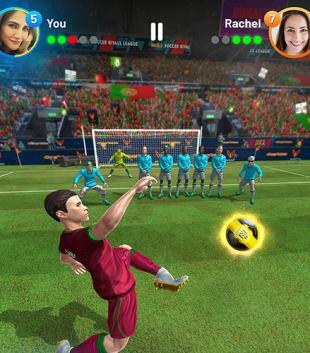 Complete in football skills with famous Ronaldo! Travel across the world and visit such cities as Madrid, Manchester and many others. Successfully play at the world championship. 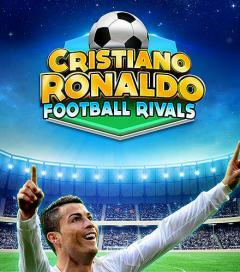 Challenge other players from all over the world, win football duels and get rich rewards. Buy sports uniform, shoes and balls. Blow Jab is die hard super action game for Boxing Lovers... Get into Ring Now! Volley Bomb is an extreme variant of volleyball, in which you play with bomb instead of ball. The main aim is to blow up the bomb at the pitch of your opponent by making it fall to the floor. Before playing the game you can choose the quantity of bombs, the level of complexity, the way of moving around and the place of the player. Matchup Cricket is an exciting fantasy cricket game where you can predict ball-by-ball in real-time while watching a match on TV!